This movie is an interesting contrast to the last one. In Finding Nemo, Marlin tells Nemo that he can't do some things because of his disability (his "lucky fin"). In Finding Dory, Dory's parents teach Dory how to live with her disability (short term memory loss). I thought it was interesting that the two films highlighted two different ways to raise children with disabilities. The story was creative, and while at the beginning I thought it was going to be a repeat of the first film, it turned into something beautiful and original. I looooooovvvveeedd the animation! It was so pretty, and the water felt like real water. 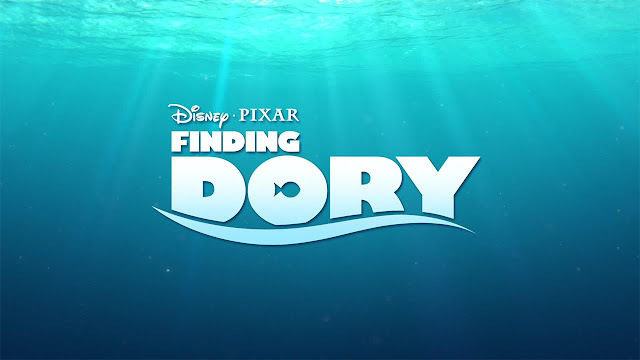 It was really, really well done, even better than Finding Nemo! It amazes me how Pixar improves their animation with every film. Returning from the last film are Ellen DeGeneres as Dory and Albert Brooks as Marlin. Nemo, who was played by Alexander Gould in the last film, was replaced by Hayden Rolence. (Don't worry, he sounds exactly the same as Gould and Gould still has a cameo in this film.) I really loved the character of Hank, played by Ed O'Neill. He was lots of fun to listen to! This movie has a similar feel to Toy Story 3. We revisited old characters and plot lines, while also introducing new, original characters that still feel just right for the movie. I loved this movie a lot, and I think you'll really enjoy it! Have you seen Finding Dory? Who is your favorite character?